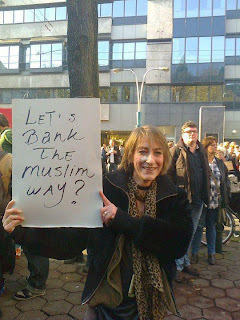 City Hijabi: Now here's an idea...Ethical banking, anyone? Now here's an idea...Ethical banking, anyone? Why this suggestion? Do you know where interest comes from? Look it up - the guilt should be just about horrific enough to make you pick up a placard like this yourselves..